Watson OpenScale tracks and measures outcomes from AI across its lifecycle, and adapts and governs AI to changing business situations - for models built and running anywhere. Track performance of production AI and its impact on business goals, with actionable metrics in a single console. Apply business results to create a continuous feedback loop that improves and sustains AI outcomes. Maintain regulatory compliance by tracing and explaining AI decisions across workflows, and intelligently detect and correct bias to improve outcomes. Credit lenders can monitor risk models for performance, bias, and explainability to limit risk exposure from regulations, and create more fair and explainable outcomes for customers. Insurance underwriters can use machine learning to make more consistent and accurate risk assessments around claims, ensure fair outcomes for customers and explain AI recommendations for regulatory and business intelligence purposes. Data scientists can build machine-learning models and work with their IT operations teams to confidently recommend proactive asset maintenance for telecommunications providers. Learn about the key features, benefits and use cases of Watson OpenScale. See how it helps eliminate barriers to enterprise-scale AI and operationalizes AI across its lifecycle, no matter where it's built or runs. Generate contrastive explanations for any classification model with MACEM. Increase fairness of predictions and improve accuracy, by following this new framework. "IBM’s work in explainable AI should improve…acceptance and adoption of artificial intelligence," according to Pund-IT. Explore reference material to get started and see what you can do in Watson OpenScale. Learn how to configure Watson OpenScale and set up bias detection and explainability. 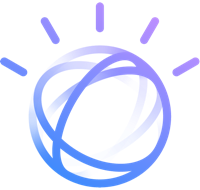 Understand how Watson OpenScale can help manage trusted AI at scale and increase confidence in business outcomes. IBM offers end-to-end model management and helps companies operationalize AI, according to Bloor Research. Build and train AI models and prepare and analyze your data, all in one integrated environment. Deploy machine learning models into production at scale and manage model performance. Scale with the cloud platform that simplifies how you collect, organize, and analyze data for AI.